This chapter highlights how the Sahabah RA attached great importance to unity in word and in deed and how they abstained from dissension and dispute in matters that had ramifications on Da'wah to AlIah SWT and His Rasulullah SAW and matters of Jihad. 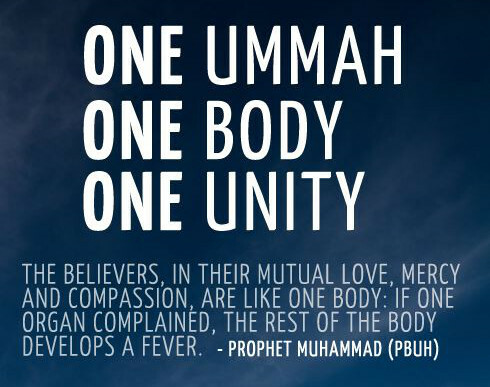 The Unity of Ummah - Is a must -Wajib for Muslimin. He Warned about the Dangers of Dissension. Abdullah bin Mas'ud RA once said, "0 people! You should hold fast to obedience to your leader and preserving your unity because unity is the rope of Allah SWT, that Allah SWT has commanded you to hold fast to. What you dislike in staying united is much better than what you like in being divided, In everything that Allah SWT has created, He has also predetermined its end. 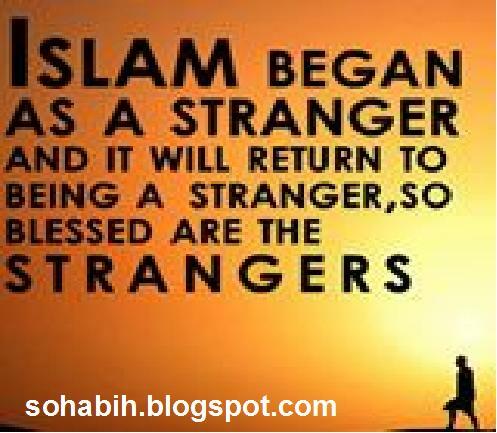 Islam is thriving right now and the time will soon come when it will also draw near to its end. 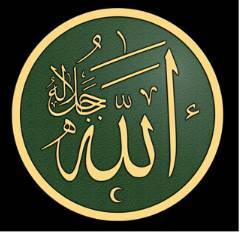 It will then flourish and weaken until the Day of Qiyaamah. The sign of this is extreme poverty. Poverty will be so great that a poor man will not find anyone to give him anything and even a rich man will not regard what he has to be sufficient for him. In fact, a person will place his need before his blood brother and cousin, but none will give him anything. The situation will be so bad that a beggar will beg from Friday to Friday without anyone putting anything in his hand. When matters reach this ebb, a splitting sound will emerge from the earth, which will lead the people of every area to think that it is coming from the ground beneath them. There will then be silence for as long as Allah SWT wills, after which the earth will stir and start to vomit out all her prized possessions." When someone asked Abdullaah bin Mas'ud RA what the prized possessions of the earth are, he replied, "Pillars of gold and silver. 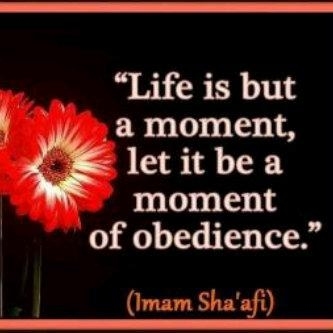 From that day onwards, none shall benefit form gold and silver until the Day of Qiyamah." Another narration states that Abdullaah bin Mas'ud RA said, "Family ties will be severed to the extent that the rich will only fear poverty and the poor will have none to show compassion towards him. In fact, even if a person has to place his need before his own brother or cousin, none would show a bit of sympathy to give him a thing." A man related that they once took some things for Abu Dharr RA. However, when they reached Rabdha (the place where he lived) and asked for him, he was not available. Someone told them that Abu Dharr RA had requested (the Ameerul Mu'mineen) to perform Hajj and had received permission. The men then left for Mina (where they found him). They were once sitting in his company when someone informed him that (the Ameerul Mu'mineen) Saidina Uthmaan RA had performed four Rakaahs salah (in Mina) (3). This upset Abu Dharr RA greatly and he had strong words to say. He also said, "When I performed salah behind Rasulullaah SAW (in Mina) , he performed only two Rakaahs salah. 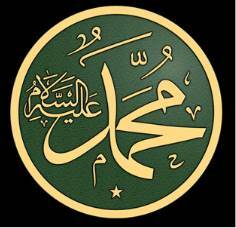 I then performed salah behind Abu Bakr RA and Umar RA (both of whom also performed two Rakaahs)." (Despite saying this) Abu Dharr RA then stood up (when the salaah was performed) and performed four Rakaahs salaah (behind Saidina Uthmaan RA). 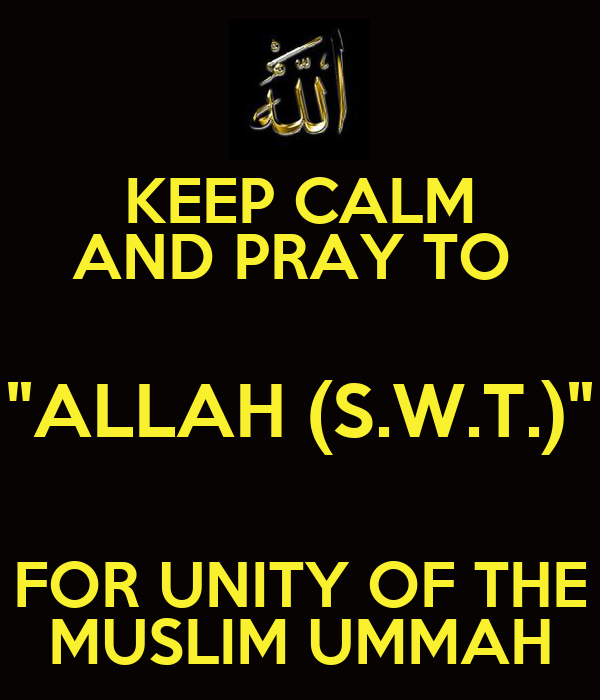 Muslim Unite For the sake of Allah SWT and Nabi SAW. (2) Abu Nu'aym in his Hilya (Vo1.9 Pg.249). The Statement of Abdullah bin Mas'ud RA. Concerning Dissension, Bid'ah, Unity and Disunity. (I) Ahmad, Haythami (Vo1.5 Pg.216) has commented on the chain of narrators. Abdur Razzaaq, as quoted in Kanzul Ummaal (VolA Pg.242).